Traceability of the wheat 100% from the region of Tuscany, a certified supply chain, products with high nutritional value, these are the 3 focal points f the Pasta Toscana Project that Fabianelli will introduce in occasion of the 19th edition of the Cibus show beginning on May 7th in Parma. This year’s special edition will celebrate 2018 proclaimed by the Italian government as the “Year of Italian Food” favoring the productive growth and export of food products made in Italy. From May 7th to May 10th more than 3000 exhibitors and a growing number of operators and buyers from Italy and abroad will be present. Among the trends of Italian food production, there is a growing number of environmentally friendly products inspired to health and well-being. 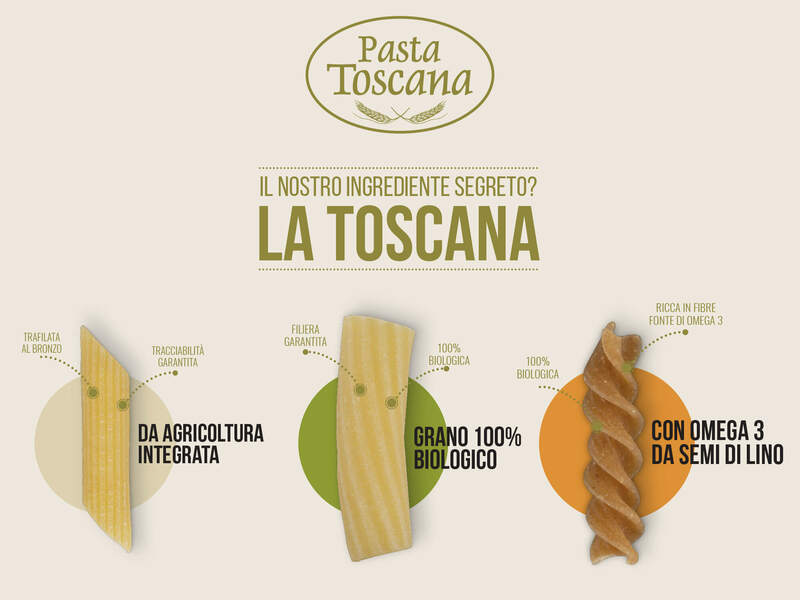 Thanks to the continuous research of raw materials and production processes, the goal of the Pasta Toscana Project is to offer a premium product that is completely traceable combining tradition and innovation to guarantee a wholesome food with a high nutritional value in full respect of man and his environment. In addition to the conventional and organic line of products, Pasta Toscana offers a unique product: Organic Whole Wheat Pasta with Omega3 from flax seeds. These precious nutrients have a preventive action against cardiovascular and metabolic diseases. Come and meet us at Pavilion 6 – Stand F 022, where visitors can discover the authentic world of Pasta Toscana and our other brands like Pasta Fabianelli and Maltagliati. We will have as our guests chefs from the Regional Union of Tuscany Cooks who will prepare healthy and tasty recipes in an informal and welcoming atmosphere in pure Tuscan style.